With the launch of Google Hummingbird update and the increased use of semantics and Knowledge Graph, the role of entities along with their relationship are set to play a greater role in the ranking of search results. Majority of search queries contains an entity of some sort or the other. 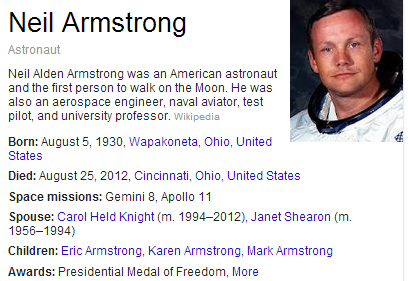 For example, a query like "Neil Armstrong Biography" contains an entity "Neil Armstrong". With the help of Knowledge Graph database, Google can easily identify that Neil Armstrong was an astronaut and it can serve the query of the user in a well defined manner. This is the power of Hummingbird backed with the cumulative effectiveness of semantics and Knowledge Graph. 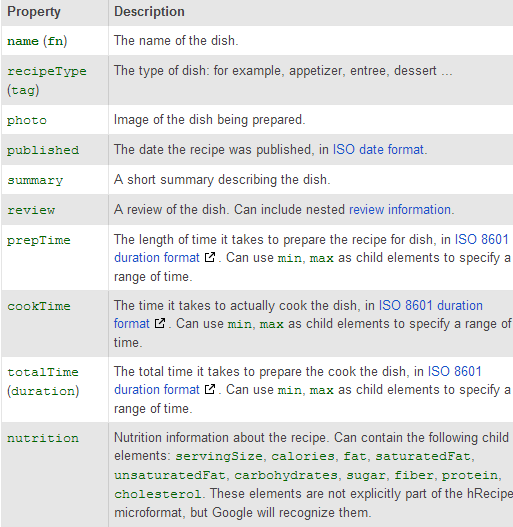 How Does Google Identifies Terms Related to an Entity? These terms are great signals for Google to identify the closest matching entity. Search terms associated with an entity and the relationship between them has empowered Google to think both ways! Now, if a search query contains an entity then Google can easily identify information to that entity and if a search query does not contains any entity then still Google can identify entities based on the processing of the terms associated with those entities and those contained in the search query. A recent patent granted to Google has provided enough vocabulary to Google in order to sharpen up its brains using its popular Hummingbird algorithm along with a perfect match of semantics. The patent granted to Google on November 19th, 2013 discusses about "Assigning terms of interest to an entity". The patent lets Google identify candidate terms and weigh each one of them as per their relative frequency. Under data mining, patterns of data are identified and processed in order to enhance intelligence and determine true value of concepts. 1- Identification of candidate terms - As a first process, some candidate terms are identified using filtering, modifying and scoring techniques. 2- Identifying known for terms- Now, an evaluation of candidate terms reveals terms that the entity is known or recognized for. It may describe features, unique features associated with the identity, location of the entity, understand more about the entity etc. 3- Continuing the process of identifying semantics of known for terms associated with the entities. 4- Identification of known for terms in different languages. The fetch as Google tool allows you to see any webpage the way Google sees it. This tool should be used when you have confusions regarding effective crawling of your web page. 1- You are using rich media files or flash and have doubts that Google may not crawl your web pages effectively. 2- Hacked pages can be identified easily with the help of this tool. 3- If you want to check the crawlability of your site then this is the best tool to use. Remember, you can only use 500 fetch request per week, per Webmasters Tools. Are you experiencing low clickthrough rate of your PPC campaigns? This post specially caters to boost up the CTR of your Pay Per Click campaigns. Make your ad headline as impressive as possible. If your brand is popular then use your brand name in the headline. Words like “Free”, “Offer”, “Best Quality”, “Guarantee”, “Sale” etc. tends to perform well in the search results. Include prices, phone numbers and limited offers text in this area. Words like “money back guarantee”, “Apply Now”, “Enroll Now”, “Buy Now”, “Experts”, “Free Shipping” etc tends to perform well in the search results. You can display links to your web pages from beneath the text of your ads. In order to activate site links for your site’s ad edit the campaign settings and specify your site links. 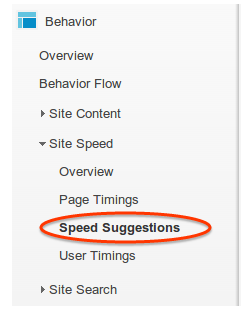 Additional links are a great way to let your users show the most important and high converting landing pages. Displaying more than one links of your site on the search results offers more chances of increasing CTR. Displaying click to call numbers in your ad is a great way to persuade the users to click on them. Users searching for services using their mobile phones are more likely to click on phone numbers displayed in the ads. Ratings and reviews have showed a tremendous response among the search engine users. 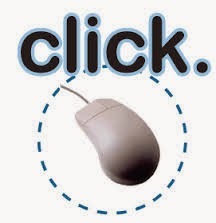 Studies reveal that people are more inclined to click on ads that have been previously rated by other users. Hence, displaying user ratings and seller reviews on your ad is a great way to enhance the performance. Social annotations allow you to display the number of Google Plus users your brand has. Enhanced social values always encourage the users to click on the ad as it gives them a feeling of trust. People tend to believe third party reviews because they think to be unbiased. Displaying third party reviews from reputable sources increases the click through rate. One of the best ways to display your business address and phone numbers in your ads is through local extensions. These types of ads provide two benefits. Firstly, it helps to increase the physical presence of customers on your store or office and secondly it helps to increase the CTR. Offers always excite customers and promoting your ad via relevant offer extensions is a great way to persuade users to click on your ad. Make sure that your company exactly offers the same service as displayed in the ad offer or there are chances that your ad will be disapproved by Google. You can display direct product ads on Google with the help of “Product Listing Ads”. You also need to have a merchant center account in order to create product listing ads campaign. In today's world, your online reputation is your actual reputation. A Google search that comes up with old Internet skeletons can scare off potential employers, clients, partners, or investors. Getting a handle on your online mess can be difficult, but is absolutely necessary. 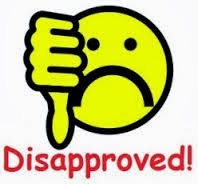 After all, it is necessary to get rid of bad reviews and blogs such as reviewreputation.com are an excellent source to remain educated. Before you pay to clear up questionable content that's been haunting you online, consider the founder of the microblogging movement - Twitter. Used correctly, Twitter can help you mop up the mess that you - or someone else - made of your online reputation. As the top micro-blogging site in the world, Twitter ranks high in search engine listings. 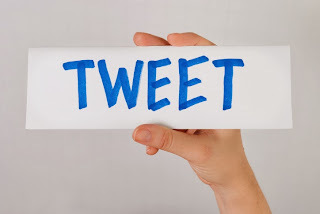 If someone doesn't own a business or operate a website, their Twitter page is among the very first items that appear in a search of their name. Use this to your advantage. By flooding your Twitter feed with truthful, positive content about you, your business, or your blog, you will ensure that at least some of your better qualities will be among the first things people see when they run your name through Google. When people think of online search, Google is the first thing that comes to mind. But the truth is, Twitter has a powerful - and underutilized - search function that can uncover a gold mine of information regarding what is being said about you or your business. By searching your Twitter handle, you can immediately see who is talking about you on the world's most popular place to anonymously gripe. Once you find conversations that involve you, it's simple enough to start a dialogue with the people having them. Are they disgruntled former employees? Angry customers? Investors who feel like they haven't seen a big return quickly enough? By engaging them in conversation on Twitter, you not only might be able to convince them to rescind some of the negative comments they made in a cloud of anger, but more importantly, you'll have put it on the record for everyone to see that you attempted to engage and correct a perceived injustice. You'll come out looking like a rational individual who did everything they could to soothe an angry but unreasonable detractor. Twitter is a great place to vent. It's always accessible, someone is always listening, and you only have a few words to get your point across. The thing is, even if you delete your tweet the next day when cooler heads prevail, it may already have been retweeted, saved, or better yet, someone may have taken a screenshot. Resist the urge to post anything political, religious, racial, or anything you know will offend or alienate someone who stumbles upon it. Twitter is a strong but underutilized tool for managing a damaged reputation. The best move you can make is avoid hurting your digital rep by abusing Twitter in the first place. Be smart, be consistent, and always remember that your online reputation can be the only reputation that matters. The Florida update that happened on November 16th, 2013 is the first web spam oriented algorithm update which targeted those sites that were applying aggressive SEO techniques. For the first time a filter was introduced in the algorithm which filtered sites applying black hat seo tactics like keyword stuffing. Heavy on page SEO tactics like Meta tag stuffing and invisible text was taken over by this update. Some webmaster called it as “another Florida update”. The Jagger update was the first update to take on spammy “off page seo” tactics like low quality links. Tactics which gained huge success before 2005 like reciprocal links and link farms were taken on by this update. Also, Google penalized sites engaged in buying and selling links. This update impacted the long tail queries affecting sites that provided thin content to target long tail queries to pass more and more organic traffic to their sites. For the first time, site authority was considered as a factor for ranking sites. 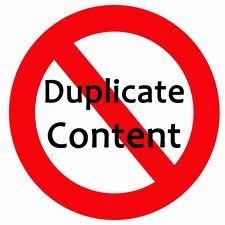 Attribution update effected sites having “low levels of original content”. Google took on sites having scraped content and less original content in them. The full fledged content focused update was launched on February 23rd, 2011. This update lowered the rankings of low quality sites or sites having thin content in them. Panda update was also known as “Farmer update” because of its ability to target content farms sites. The content farm sites were those sites that had lots of pages which focused on specific long tail queries and provided a bad user experience. These sites were full of ads and were missing the content quality. 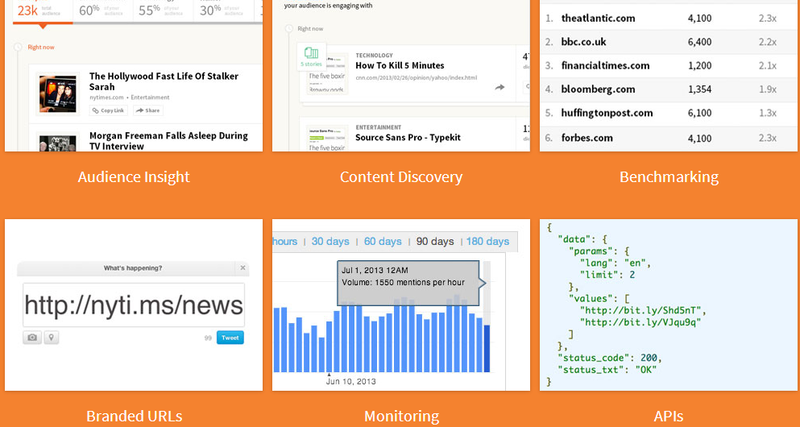 Panda lowered the rankings of sites having low quality, duplicate or thin content in them. Human quality testers were used for the first time for judging sites based on quality, trust, design and speed. It gave Google the power to identify sites that have content “most loved or most preferred by the users”. As Panda was a huge algorithm change so Google took measures in rolling out the updates in a slow and regular fashion. These updates continue even today but they have now been integrated into the main ranking algorithm and updates are more frequent and less noticeable. Panda’s second refresh included all English queries and used Chrome data to lower the rankings of sites which users blocked the most. Google continued to improve its Panda algorithm in order to return quality sites in search results. This update happened on June 21st and focused on the main motto of stopping the low quality sites from ranking higher on the search results. Some new signals were introduced with the Panda 2.3 update which was not disclosed openly by Google. The Panda update was rolled out internationally with 2.4 update. As part of Google’s commitment to return high quality sites, Google continued to roll on more Panda updates. Some minor updates started happening with Panda flux. Panda updates now became a common phenomenon which updates happening every month. As such, these updates were less noticeable. The main algorithm remained the same and Google continued to improve its algorithm. This update was really minor and less noticeable. This update affected around 1.6% of the search queries. Another Panda refresh happened on April 19th, 2012. Another major Webspam targeted algorithmic change was launched on April 24th, 2012 with the name Penguin. Google decreased the rankings of sites having low quality link profile with the Penguin update. This update impacted 3.1% of English queries. Google suggested creating amazing and compelling sites that provided high value to the user. 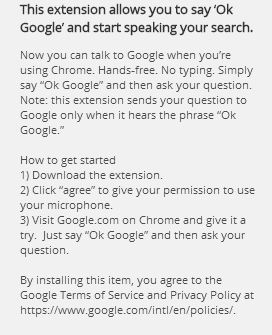 On the other hand, Google continued to update the regular Panda update. 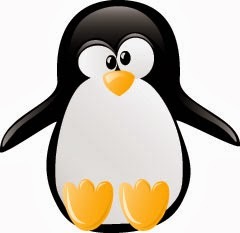 The first update of Penguin happened on May 25th 2012. Two more updates happened on June. Panda 3.7 had a somewhat bigger effect than the 3.8. This update affected around 1% of queries that was less enough to notice. With each Panda update coming so soon, they became less noticeable. This update was large and affected around 2.4% of search queries. In order to decrease the rankings of keyword stuffed domains, Google introduced the Exact Match Domain (EMD) update on September 27th, 2012. This update decreased the rankings of less authoritative sites having exact match keyword in their domain name. This update was minor affecting around 0.3% of search queries. More Panda updates rolled out affected smaller portion of queries. This update affected around 1.3% of the search queries. Google continued updating the Panda update in 2013 with the first release of 2013 coming on January 22nd. After this update, Panda was incorporated in the main algorithm. This update had a less impact on low quality sites and black hat SEO remained unaffected by this update. As the Penguin 2.0 had a smaller affect on decreasing the rankings of low quality sites so Google started out a major update in the form of Penguin 2.1. This update happened on Oct, 4th 2012 and had a noticeable impact on the search results.